I have seen these lasers in action and they really do work very well! I think I would look into this type of treatment when I start to show some fine lines and wrinkles. We have to take care of our skin and this is the best way to fix any problem areas we have. I read about this before but never as in depth as right now. 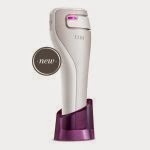 I think I might look into an anti aging laser as it seems like something that could do the job in less time than the creams and serums and I would think that the laser treatment would last much longer and provide better value for my money.